Wonderful end unit townhome on Lake Keowee with a deeded boat slip. 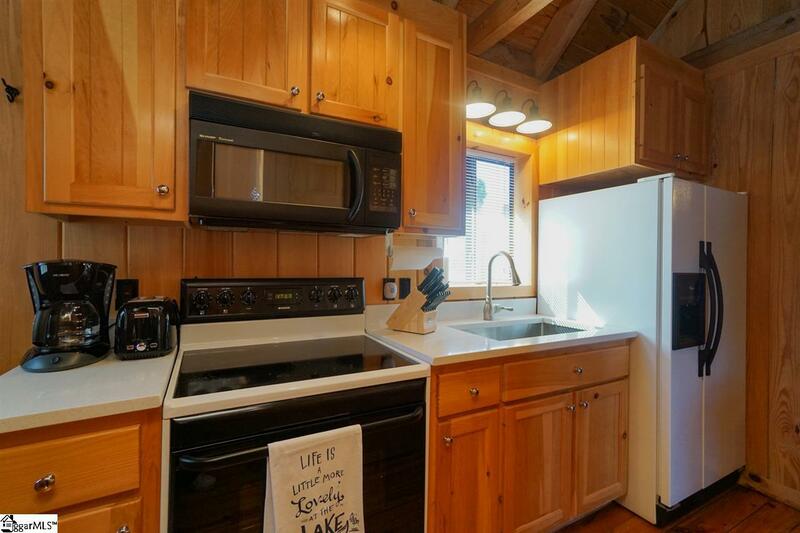 This rustic lake getaway is so close to the water you can almost touch it. 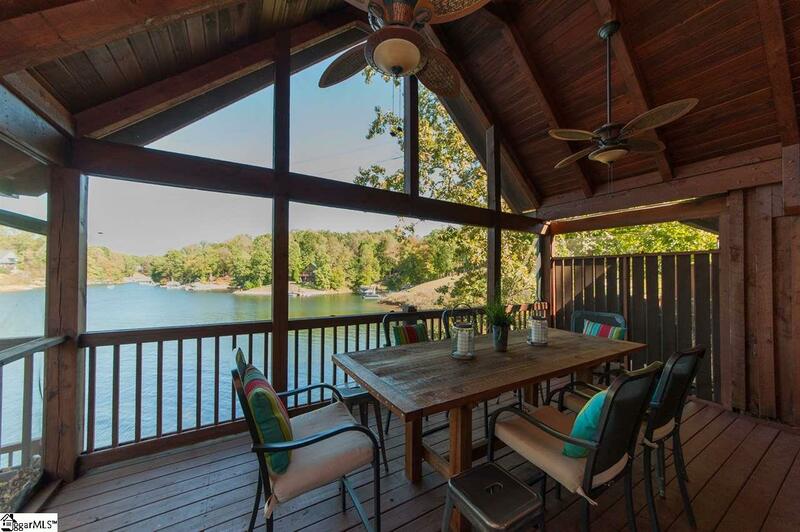 How would you like to be on Lake Keowee for under $350,000?? 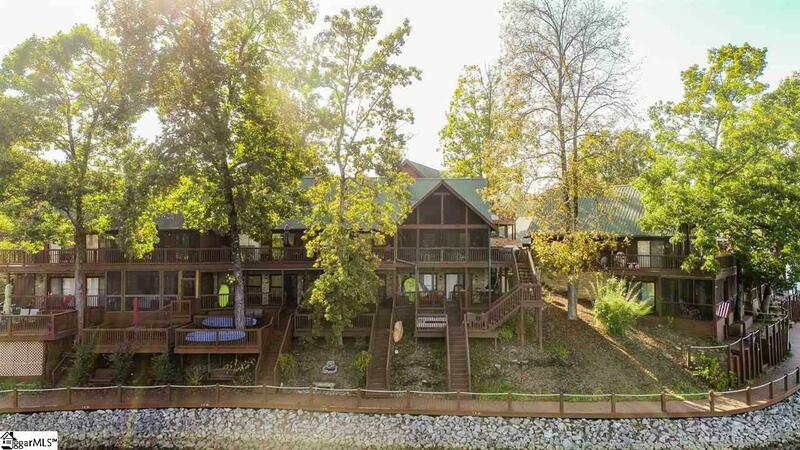 Delightful lake views on all levels make this the perfect getaway. This tri-level end unit has a bedroom on each level. The all pine interior gives it a cabin like feeling. The upper loft area consists of a bedroom. The main level contains the updated kitchen with granite countertop, the eating area, a full bath and a second bedroom with screened porch access. The sliding doors lead to the huge screened porch with vaulted ceiling, directly overlooking the water. This is a great entertainment area, dining area, and a wonderful place to relax and enjoy the lovely lake view. The lower level contains the master bedroom and updated bathroom with a tub and separate shower area. Also on this level is a cozy den area with gas log fireplace. The glass doors lead to the lower level covered deck area, and the sun deck with a stunning view of the lake. 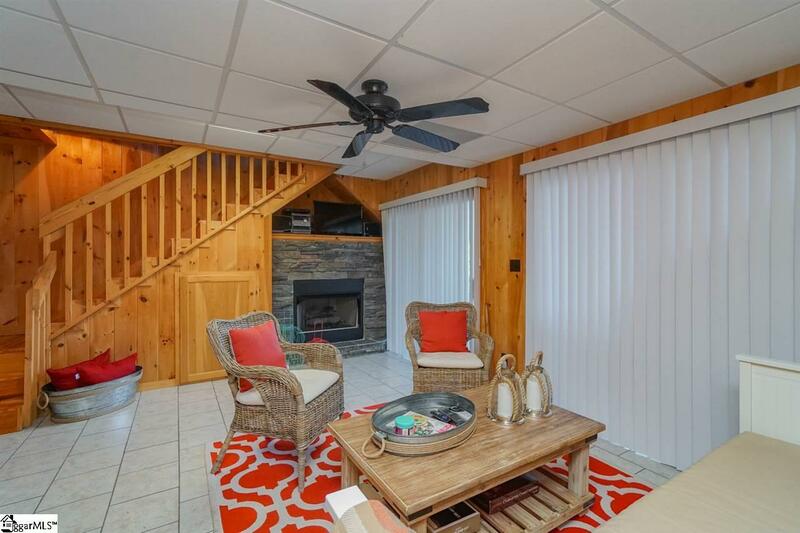 This unit includes a deeded boat slip on the community dock which sits on deep water. This home is professional decorated, turnkey, newly renovated , updated, and move in ready! Owner is a licensed real estate agent.